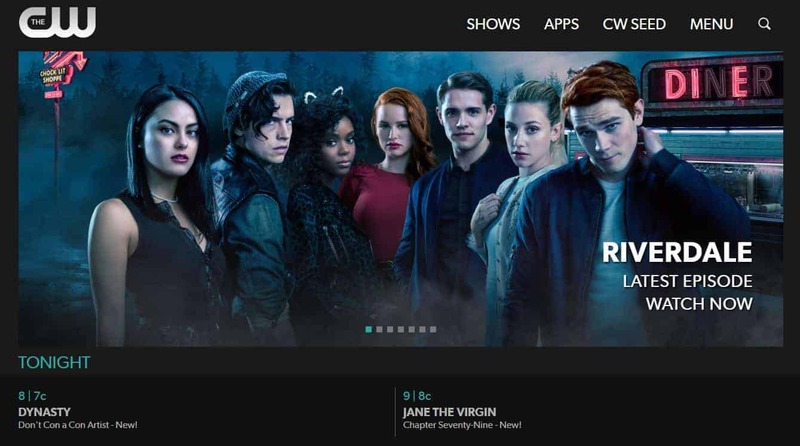 CW TV (also known as The CW Network or just The CW) has lots of great content to offer, but unfortunately, it’s only available to viewers within the United States. 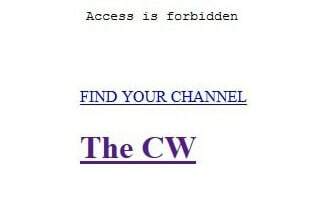 CW TV, like many streaming platforms, uses regional blocking to prevent viewing from overseas. This means that if you’re traveling abroad, you won’t be able to catch up on your favorite shows. However, this geo-restriction can be bypassed by connecting to a Virtual Private Network (VPN). We’ll show you how to access CW TV in the UK, Australia, Canada, France, Germany, China or anywhere else internationally. VPNs have several other benefits. They encrypt your network traffic, preventing it from being read by any outside observers including your Internet Service Provider (ISP) or hackers. This protects you from targeted ads, stops your ISP selling your browsing habits to third parties, and generally allows you to remain more anonymous online. It’s important to note that every VPN is different. For instance, some are faster than others, have larger server networks, or are optimized for high-definition streaming. ExpressVPN Our top choice for watching CW TV from anywhere. Blazingly fast US servers are ideal for HD streaming. Apps are secure and easy to use. Includes 30-day money back guarantee. NordVPN Long-standing budget provider with over 1500 servers in the US alone. Good streaming speeds and secure apps. CyberGhost Low-cost provider with some of the fastest streaming servers we’ve tested from abroad. Apps are easy to set up and use. IPVanish Preferred by Kodi and Fire TV Stick users for their remote-friendly apps. Good speeds. PrivateVPN Small yet growing networks with fast servers that hit good streaming speeds. Solid security. ExpressVPN offers more than 33 high-speed, US-based servers. These allow you to stream HD content with minimal buffering and no unexpected disconnections. This service is capable of unblocking not just CW TV, but Netflix, Amazon Prime Video, and Hulu too. Better yet, with up to three connections allowed, you’ll be able to stream no matter where you are. This VPN keeps your traffic safe with 256-bit encryption, DNS leak protection, perfect forward secrecy, and a kill switch. ExpressVPN accepts bitcoin, doesn’t keep any logs, and has an optional .onion site, making it perfect for those looking to remain anonymous at all times. ExpressVPN has Windows, MacOS, Android, and iOS apps. It can be manually installed on Linux devices and selected network routers. BEST VPN FOR CW TV:ExpressVPN is our #1 Choice. Reliably unblocks CW TV and many other popular streaming services. Exceptional speeds for buffer-free HD viewing along with total security and privacy. Try it risk-free with the 30-day money back guarantee. If you like to stream when away from home, NordVPN is a strong choice. It permits up to six simultaneous connections and can unblock numerous platforms including Netflix and BBC iPlayer. With over 1,700 US servers (all of which are optimized for streaming), you’ll be able to watch CW TV easily and without interruption. NordVPN is extremely customizable while remaining accessible to novice VPN users. It uses 256-bit encryption but that’s just the beginning of its security features: there’s also anti-malware and ad-blocking functionality, a process-specific kill switch, and the ability to use double VPNs or Tor over VPN. NordVPN does not log any of your browsing or session information at all. This service has apps for Windows, MacOS, iOS, and Android. Manual configuration is required for Linux-based systems and supported routers. BEST BUDGET VPN:NordVPN is a good value choice. A good all-rounder that works well with CW TV. Strong security features and allows up to 6 devices to be used simultaneously from one account. Includes 30-day money back guarantee. CyberGhost makes it easy to stay safe online. It allows users to choose servers designed for specific tasks such as torrenting or browsing anonymously. This service can unblock several popular streaming platforms including CW TV, Netflix, and BBC iPlayer, so you’ll never be short of something to watch. This provider uses 256-bit encryption, HTTPS redirection, and a kill switch to keep you safe online. It keeps no logs and protects against DNS, IPv6, and port forwarding leaks, ensuring your data is never accessible to any third party. Further, with ad-blocking and anti-malware features, CyberGhost removes the need to install any potentially insecure browser extensions. Apps are available for MacOS, iOS, Windows, and Android. It also works with Linux systems and some wireless routers, although manual configuration is required. GREAT VALUE:CyberGhost is easy to use. A well priced solid performer. Good at unblocking CW TV but can struggle with other streaming sites. Comes with a 45-day money back guarantee. IPVanish is hugely popular with Kodi users thanks to its extensive server network and fast speeds. These features make it perfect for streaming, and although it can’t unblock Netflix US, it can enable access to plenty of other sites, including BBC iPlayer, ITV Hub, and CW TV. Up to five connections are permitted, allowing you to stay protected on all of your devices. With this service, you can block all LAN traffic, obfuscate OpenVPN traffic, and regularly switch IP addresses. What’s more, with 256-bit encryption, a kill switch, a no-logging policy, and protection against DNS leaks, IPVanish keeps your data safe and secure at all times. It also accepts bitcoin payments, enabling you to register more anonymously if you’d like. This VPN is highly portable, with apps for MacOS, Windows, Amazon Fire Stick, Android, and iOS. Manual installation is required for internet routers and Linux devices. UP TO 10 DEVICES:IPVanish has a large network of servers. Handles several simultaneous connections well. Recommend for their high standard of privacy, but keep shopping if you want to unblock US Netflix. 7-day money back guarantee. While PrivateVPN only has ten US servers, it offers faster speeds than many of its rivals. It can unblock the most popular streaming services including Netflix, BBC iPlayer, and Amazon Prime Video. Six connections are allowed at once, so you can protect every device in your household with a single account. PrivateVPN keeps no logs of your activities. It uses 256-bit encryption, prevents IPv6 and DNS leaks, and includes a kill switch that stops all traffic should your connection to the VPN be lost. This service offers 24/7 customer support via live chat, and with your permission, the staff can remotely install or troubleshoot the software in case of any issues. This VPN offers Windows, MacOS, Android, and iOS apps. It can be manually configured to work with Linux-based systems and selected routers. GREAT SPEED:PrivateVPN is a good family choice. Works well with CW TV and allows up to 6 devices on the same account. Could do with having more server locations and lacks 24/7 support. 30-day money back guarantee. Can I use a free VPN with CW TV? While there are numerous free VPN services, we advise you to avoid them. These services usually have fewer servers than premium VPNs, but also more users. This means your connection is slower and more likely to drop out — two factors that lead to a poor streaming experience. Some free VPNs impose data caps and queues to offset this as much as possible, but these measures actually make the VPN less useful. Additionally, you might ask yourself how a free VPN can afford to stay in business. They don’t charge for access to their service so these companies might resort to shady practices to generate income. Whether they’re injecting ads on to the sites you visit or selling your browsing history to third parties, ultimately, it’s your privacy that suffers. This isn’t just speculation. In the past, we’ve seen free VPNs that mislead users about the extent of information they log, install malware on people’s systems, and sell user’s bandwidth to be used in botnets. To stay safe and prevent this from happening to you, we recommend using a VPN with a proven track record of protecting its users’ privacy. Can I use a proxy to watch CW TV? If you try accessing the CW TV website from outside out the US, it will stop loading part way through and show the message “Access is forbidden”. However, CW TV actually has fairly weak geo-restriction measures built-in. As such, anything that changes your IP address to an American IP will let you watch CW TV. That said, there are several reasons why you should use a trusted VPN instead of a web proxy service. Firstly, proxies don’t encrypt your traffic like a VPN does. This means that your activities can be traced back to you. Second, proxies are usually fairly slow, and since HD streaming requires fast speeds, they’re a poor alternative to most VPNs. Finally, while popular VPNs usually have strict privacy policies, web proxies may not. Like many free VPNs, they can essentially do whatever they like with your browsing history. I just checked all of these except boleh. As of mar 18 2018 neither cyberghost nor privatevpn offer dedicated ip addresses. liquidvpn has them only in the netherlands, germany, and uk.